Writers for Refugees was founded in December 2013 by fiction writer Kalinda Ashton and poet and spoken word artist Benjamin Solah with the aim of protesting the treatment of asylum seekers and refugees. Their first major task was to encourage prominent writers, academics and journalists to join them in speaking out against policies of mandatory detention, offshore processing and the elimination of the prospect of permanent resettlement in Australian for people who arrive here by boat. Rochford Street Review have signed up and fully support their aims. Unfortunately we wont be in Melbourne for the launch but if you will be we would urge you to attend and show your support. As a writer, I am opposed the system of mandatory detention of refugees in Australia. This system, which in some cases sees refugees, including children, imprisoned for years, is inhumane and unjust. I acknowledge the suffering faced by refugees presently held in detention centres both on- and off-shore and will continue to speak out about my country’s treatment of those seeking asylum. Refugees are facing dangerous, inappropriate and inadequate conditions on Nauru and Manus Island and being further traumatised by their exposure to such facilities. Others are drowning at sea while Abbott continues to vow he will turn back the boats. I am committed to upholding human rights and extending generosity and assistance to those fleeing persecution and oppression. I choose to use my voice as a writer to speak for the voiceless and the silenced who have come to Australia by boat seeking freedom and asylum but were met with ‘cruel, inhuman and degrading’ treatment. I wish to acknowledge those who have lost their lives or their hope attempting to seek safety and solace here. I read this statement to call on the Australian government to welcome refugees and end these policies. Thirty Poets edited by Felicity Plunkett. UQP 2011. Themes and motifs I have chosen to trace have been those identified by David McCooey (‘Surviving Australian Poetry – the new lyricism.’ International Poetry Web, May 1 2007) as being part of a ‘new lyricism’. He identifies three elements of this new lyricism: ‘worldliness’, ‘the uncanny’ and ‘lyricism’. While, as McCooey has stated in the introduction to the anthology, there is clearly an enormous variety of theme and form represented, and we would not push this framework too far, I found it useful in exploring the ‘flavour’ of the anthology, with the caveat that both Potter (Poetry International Web, July, 2011) and Alizadeh (Cordite, 30th May, 2011) have expressed reservations about such a classification. McCooey defines ‘worldliness’ as: ‘… the ‘recumbent poetic’ that can be found through any number of antecedents not determined by nationality.’ He has identified ‘key concerns in Australian poetry’ as ‘self and place’. Something is always about to happen. after a long period of hostage. 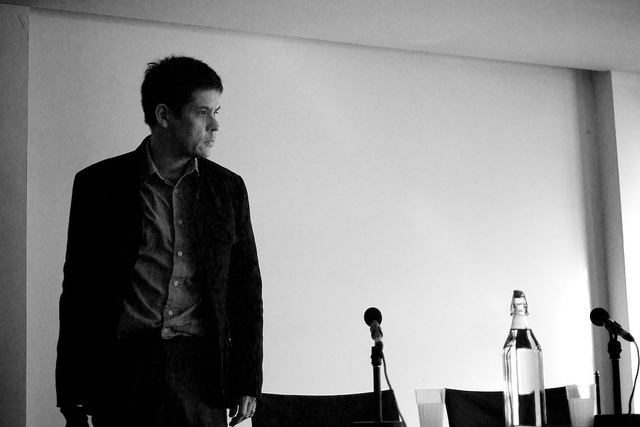 Finally, Alizadeh and Kambasovic-Sawers explore self and place from the perspective of their bicultural heritage. As in a dream, all elements: earth, sky, water, fire, are confounded. Kate Fagan’s ‘Dadabase’, dedicated to Michael Farrell, is a mosaic of non-sequiturs, a word- and soundscape. 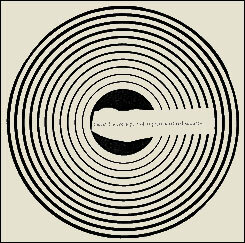 ‘A Little Song’ presents a surrealist landscape, with juxtapositions that make you sit up: ‘Before the world was blue/it was a little darker …’ ‘Concrete Poem’ consists of a series of mini-poems, statements reminiscent of Neruda, dream-like associations with their own internal thematic logic. In Petra White’s ‘Karri Forest’, the forest, in the process of being destroyed, still ‘swirls you in its poem’, so that the creation of the poem in some way counteracts the destruction of the forest. 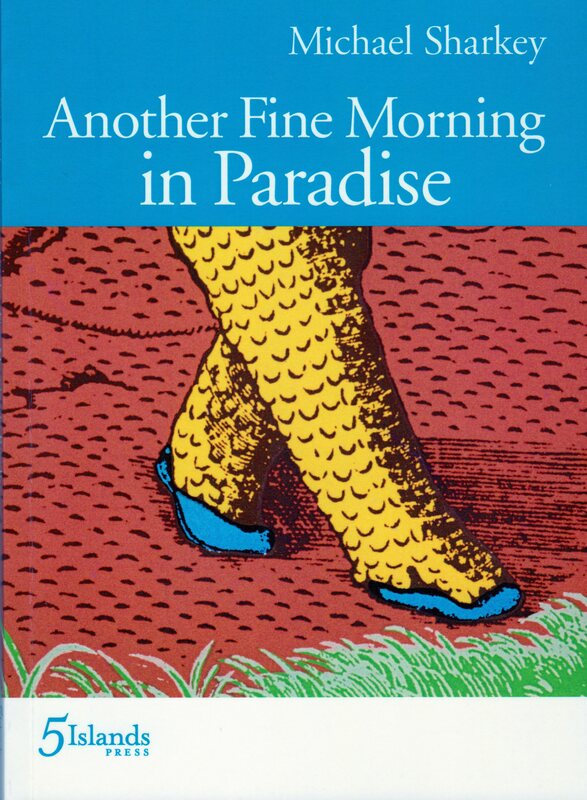 Referencing other authors and literary works: David Prater’s ‘Sunbathing’ begins with a quotation from Bernard O’Dowd, and the narrative voice seems to suggest this author; in ‘Oz’, Prater references O’Dowd’s ‘Australia’, at the same time creating his personal sardonic eulogy to the country. In ‘A821.4’ that library classification stands for ‘…the place where we all somehow hope to die’, a place where we are ‘in solidarity with those whose fame/ exceeds our own’. Finally, in Jane Gibian’s ‘Sound Piece’, the items stored in the curiosity cabinet, such as ‘a baby sister sucking her dummy in the night’ are the stuff of poetry, making the whole poem a metaphor for the poetic process. I am not in the habit of criticising choices made by editors of an anthology. We all have our favourites and each editor has their own notion of what matches. Generally, the poets are all beyond the ‘emerging’ stage and are both competent and interesting. However, not all poems by individual poets are at the same level. The practical constraint of selecting roughly the same number of pages from each contributor, while having the advantage of providing a substantial representation, also carries the disadvantage of including some lesser work. As the poets are relatively young, this may eventually prove to be a disservice. Another constraint perhaps too rigidly applied was ‘post 1968’. Plunkett herself mentions in the preface several poets who could have been included, both ‘emerging’ and older poets. I agree. I wonder why she did not do this, as it would have provided greater continuity, instead of giving the impression that the cut-off point had more than ‘practical’ significance. This collection has effectively balanced competing demands of diversity and cohesion: it is a richly coloured and thoughtfully arranged bouquet of poems. 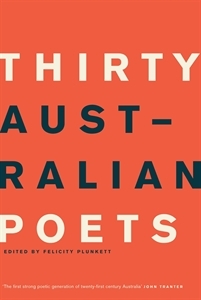 It has already inspired another anthology with authors selected on the basis of age: John Leonard’s Young Poets: An Australian Anthology (John Leonard Press, 2011), featuring 7 poets at greater length (some of the same poets, and even the same poems, as in Thirty Australian Poets). It will be interesting to see what other anthologies might follow in its wake. Marietta Elliott-Kleerkoper was born in Amsterdam and survived the Holocaust in hiding. She arrived in Australia at the age of 11 with her family. She taught foreign languages and English as a Second Language and lectured in Teacher Education at several universities. She has been published in Australian and overseas journals and anthologies, has won several poetry prizes. Her Dutch-English poetry book and CD Island of wakefulness appeared with Hybrid in 2006. She is a former president of Melbourne Poets Union.